As a transfer student, you start your Academic Journey at John Jay as sophomores and juniors with unique strengths, experiences, and goals. 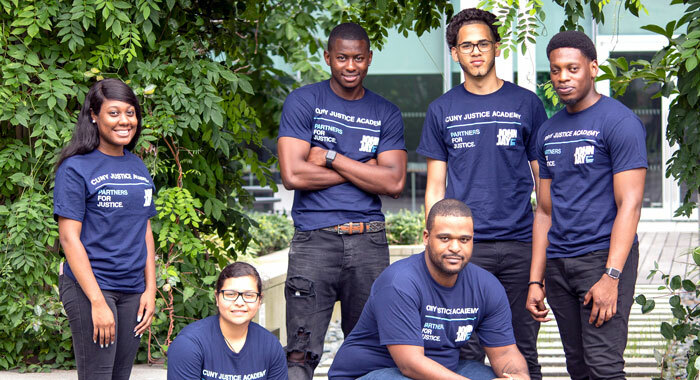 The team at Student Academic Success Programs is committed to providing you with resources, services, and networking opportunities that help you successfully integrate into the college life at John Jay to achieve your academic and career goals. Transfer Seminars are specially designed sections of the 300-level Justice Core courses that all transfer students are required to take. Sections are taught by professors and supported by peer mentors who have a special interest in helping transfer students succeed. View Fall 2019 Transfer Seminars. Transfer Student Welcome: Speed Networking for Success is an event where you'll have the chance to meet face-to-face with representatives from programs offering scholarships, internships and more. Join other CJA and transfer students for a high-energy, fast-paced hour of networking on Thursday, February 7, 2019, 1:40–2:55 PM, Student Dining Hall East. You'll also have an opportunity to connect with other transfer students at John Jay and meet the transfer student peer mentors. See the attached Transfer Speed Networking flyer for more details. Transfer Advantage is a workshop series to help students prepare for special academic and professional opportunities that they can apply for in the upcoming semester. You’ll get connected to internship, research, scholarship, and other special opportunities as well as one-on-one support with applications. Applications for the spring workshop series are due February 15, 2019, and sessions begin on March 4 (for the Monday cohort) and March 5 (for the Tuesday cohort). See the attached Transfer Advantage flyer for details. Milestones to Success are the steps to take at John Jay to reach your academic and career goals. Learn how to meet your milestones. Campus Resources and Opportunities, including academic advising, tutoring centers, and internship programs, are here to help you succeed at John Jay. See a list of campus resources.